here 1894. Hewes’ grave is lost. He was the third signer. Location. 36° 7.915′ N, 79° 50.684′ W. Marker is in Greensboro, North Carolina, in Guilford County. 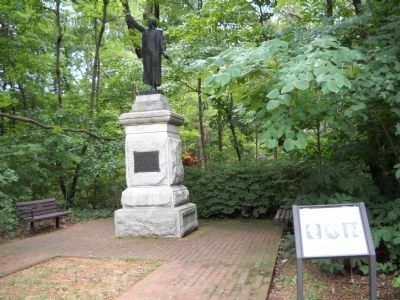 Marker is at the intersection of Guilford Courthouse Auto Tour Road and Old Battleground Road, on the left when traveling west on Guilford Courthouse Auto Tour Road. Touch for map. 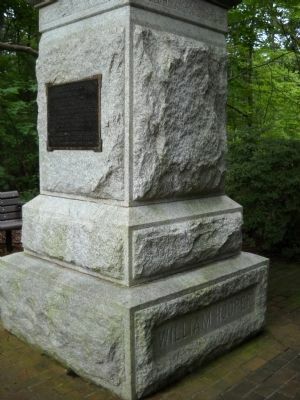 Marker is in Guilford Courthouse National Military Park, on the Auto Tour at stop 8. Marker is in this post office area: Greensboro NC 27410, United States of America. Touch for directions. 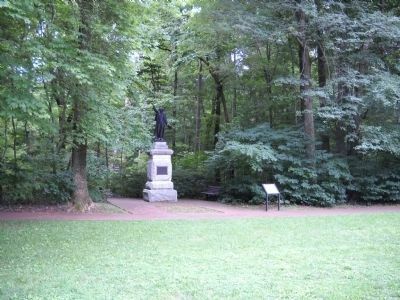 John Penn (here, next to this marker); Nathanael Greene (within shouting distance of this marker); The Monument and the General (within shouting distance of this marker); Park Founders (within shouting distance of this marker); Capt. 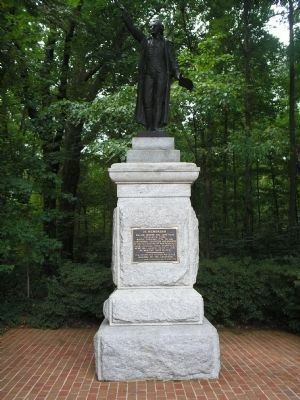 George Reynolds (within shouting distance of this marker); Joseph M. Morehead (about 300 feet away, measured in a direct line). Touch for a list and map of all markers in Greensboro. 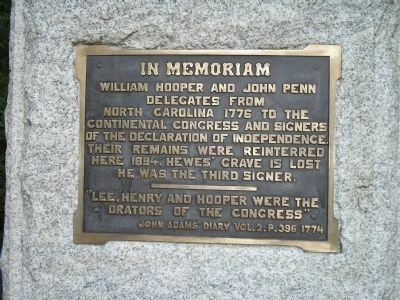 Two markers for the North Carolina signers of the Declaration of Independence are found at this location. 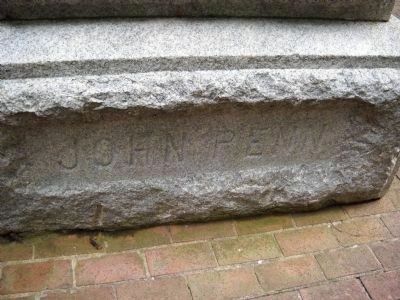 John Penn is buried to the left of the monument. 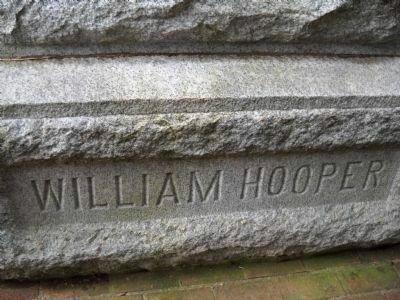 The grave of William Hooper is located to the right of the monument. More. 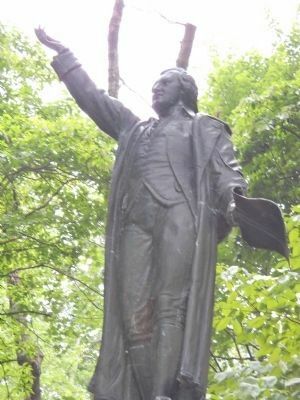 Search the internet for Signers Monument. Credits. This page was last revised on June 16, 2016. This page originally submitted on August 25, 2010, by Bill Coughlin of North Arlington, New Jersey. This page has been viewed 613 times since then and 7 times this year. Photos: 1, 2, 3, 4, 5, 6, 7, 8. submitted on August 25, 2010, by Bill Coughlin of North Arlington, New Jersey.